Your spirit — that place where faith and choice collide — is determined to grow you into the marvelous person God has had in mind all along. This person is someone with grace, love, courage, compassion, faith and integrity. You don’t become this without some work and suffering. The [Spirit] will require tougher things than the Muse ever will. … [The Spirit] will push you beyond …to whatever healing or understanding is necessary in your life. This [Spirit] will stare at you until you make your art honest (Vinita Hampton Wright, The Soul Tells a Story: Engaging Creativity with Spirituality in the Writing Life. Downers Grove, IL: InterVarsity Press, 2005. p 36). Okay, okay, Holy Spirit! I hear you! I will obey…soon. I need more time to pray, discern and write first, second, third…twentieth drafts. In the meantime, the Spirit has provided a voice to open the discussion on pastors and congregations behaving badly towards one another. I met Ed Cyzewski in Grand Rapids, MI while attending the Festival of Faith and Writing. He originally published the post below on his own blog, In a Mirror Dimly on April 25, 2012. He was reluctant to write it, he said, but he knew that he had to. Y’all are invited to respond to both Ed and me in the comment section below. Some of the most important people in my life have been my pastors. They have provided timely wisdom and guidance that has changed my life. However, some of my deepest wounds have also originated from pastors. I don’t blame my pastors. Personally, they never would have done a thing to hurt me. In fact, I don’t see my wounds as necessarily originating from my pastors. My wounds came from the church system that we both served. Pastors and lay people have a common enemy: the church system. The system is rules, expectations, and anything that defines how the organization of church must function. The system is anything that threatens to set itself over the unity of believers. The system uses the hard bolts and jackhammers of man to join together people who require a lover’s caress. The system doesn’t care whether you’ve had a rough week. If you’re botching up the hymn on Sunday morning, people will complain to the pastor, and the pastor has to do something. The system demands action. The system doesn’t care if you’ve been the only nursery volunteer for three months. The pastor needs someone to cover it because he’s got five more empty slots to fill. It’s his job to train and equip people for ministry, and he’ll lose his job if he can’t pull it together. He may even ask you to bring a side dish next Sunday for the elder meeting because the system needs more volunteers and you’re one of the few willing to play by the rules. The system demands that we become fuel for the machine. We all have an idea of what the system should look like, and we make decisions in our churches based on what kind of system we want. I want a church system that reflects my values, and I’ve fought far too many battles to create the church system of my choosing. The truth about church is that it’s a living, breathing body joined together with the Spirit of God. We require some organizing and some leadership, but we don’t live to serve what organizes us or to make our systems a success. Just surviving as a group in a system is unhealthy and self-centered, and survival is what a system demands. If the church organization dies, then what? We fear that every time our budgets run a deficit… What will happen to the “church”? When I say the church becomes a system, I’m also talking about what you do in order to belong. Play by the rules, and you can be in the community. If you don’t follow the rules, you can’t be in the community. These rules will vary from church to church, and even some churches can take good things such as inclusiveness to an extreme—as in, if you’re not quite inclusive enough, you’re out. Some systems are enforced from above and other systems are enforced by the loudest members of the congregation. Oftentimes the pressure of the system is applied equally from pew to pastor and from pastor to pew—both making demands and expectations of one another without ever asking why we do this. The system plays leaders off the congregation. In the system, a congregation needs leaders to provide a compelling vision statement, guide their spiritual lives, and keep the church as an organization vibrant and running. If the church as an organized system fails, it is the pastor’s fault. The pastor has to maintain a delicate balance of pushing his/her congregation to grow spiritually, while prodding them to buy into the church system. If they don’t believe in the system and follow that by attending, volunteering, or giving, then the pastor is a failure. There is enormous pressure on both sides. The people want something meaningful to give themselves to and they need real help with their pressing issues in life. Leaders are under enormous pressure to press people to grow, but to not press them too hard. The system hums along until the pastor realizes that the system needs to be changed. This is where all hell breaks loose, literally. The people were told that the system will provide for them and guide them where they need to go. They have invested in a system, an institution, a church, a holy place of God that looks just right to them. Who are these pastors to tell them it needs to look different? At this point, it makes far more sense to fight for the system than to trust the pastors. The system will give the people what they want. The pastors become caretakers whose livelihoods are held hostage to the congregation. Other times, the pastors use the authority of the system to hold their congregations hostage. They hold the power of church discipline. They can destroy relationships with one e-mail, even one message on a social network. The ease of online connectivity can give leaders tremendous power to inflict terrible harm if they sense someone isn’t buying into the system. The same holds true for congregations. Some churches are on the brink of all our war with congregations and pastors both trying to control the system. When the people/pastor become a “threat” to the “church,” that’s usually just another way of saying the people/pastor want to change the system we like. As I’ve found churches where I can belong, I try to keep an eye on the system. It’s a caged beast ready to strike our communities at any time. The system will alienate us from our leaders we both fear we’re not measuring up. The system has no grace. I want to serve God and minister to people rather than serving an organization or becoming enslaved to my expectations. My pastors should have freedom to hear from God and to lead without fear. I want to follow them without clinging to any pictures of what a church “must” look like. I hope my pastors know that they can fail. They can make financial mistakes. They don’t have to lead perfect families. They can have doubts. They can end a service early or late. They can teach from any part of scripture they feel lead to speak about. I hope everyone in my congregation knows that God’s Spirit knits us together. We don’t have to prove ourselves to one another. We are free to serve one another and let an unstaffed program die because no one feels called to it. Church doesn’t have to look like anything we’ve ever known before if God’s Spirit is leading us to change how we gather for worship or how we serve our community. We are free to love God and to serve one another, and freedom is the one thing that a system hates. I love my pastors, but I hate the system. 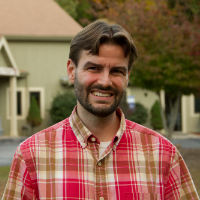 Ed Cyzewski blogs at www.inamirrordimly.com where he hosts the Women in Ministry Series. He is the author of Coffeehouse Theology: Reflecting on God in Everyday Life and Hazardous: Committing to the Cost of Following Jesus. I just reference “the system” in my most recent blog. When my pastor husband resigned from our congregation I realized how unauthentic it all was. No hard feelings for sure…just the painful truth that the very system we served treated us as we had built it to do. God what a hard lesson to learn…. You’ve given me something to think about as I continue to process my own resignation from congregational ministry. Thanks for your comment, Stephanie. Glad to hear that there were no hard feelings for y’all…what a blessing! “Pastors and lay people have a common enemy: the church system. The system is rules, expectations, and anything that defines how the organization of church must function.” Would that system be the same system that organizes wide groups of people to build Habitat houses and feed hungry people and work for justice, often amidst staggering odds; the system that takes care of burned-out pastors done in by toxic or impossible environments and provides trained counselors for hurting congregations; that trains chaplains to sit by the side of scared and sick people, and who over the decades has pooled resources to send missionaries and build hospitals and start new churches that no one institution could do on their own? That system? I’ve given my whole life to be, I guess, Ed’s “enemy”: a pastor and administrator in “the system.” Maybe that makes me, and this response, way too defensive about what I know and done–a hostage, if you will. (Does the Stockholm Syndrome apply to persons working in church bureaucracies?) Maybe that blinds me somehow to all of which Ed writes–stories I too have heard and lived and, regrettably, probably have contributed to in some way, and my goodness, I’d be the first to admit how often the system has failed. But that system Ed names is finally not some all-powerful force that controls our lives in ways we don’t want. The system is me, and it’s Ed, too, and Angie, and all of us who call the church home. The way forward is not simply to demonize “the system”; it is to form and re-form it as the body of Christ, salt and light, better and stronger together. Jeff, I’m not quite sure how you arrived where you did. The bit you quoted references our expectations of what the church must look like and how our expectations trap both leaders and people. I don’t want to sound sarcastic, but would you mind reading the post again? Our expectations about what the church “must” look like create these systems that can trap us into thinking that we always need to put on a huge Sunday production, when maybe a pastor or small group feels a burden from God to build Habitat Houses. Is a pastor or small group free to suggest that maybe Sunday morning needs to be a little simpler for the sake of freeing people to minister in the community? I’d guess no in most churches. The pastor who suggests something like that will get flak for not providing the service people demand because they expect a church to look a certain way or the small group that suggests this will just be ignored because either a pastor doesn’t care or doesn’t dare rock the boat. I stated very clearly that the system of church, our expectations for what church must look like, bites everybody. Our loyalty to our expectations for the church can create systems that generally exist to be served rather than simply allowing people to serve where God leads them and letting our expectations die. If my pastor feels led by God to change the church organization, I need to let go of what I think the organization needs to look like because my loyalty is to God and him, not to a vision statement or some conception of what the church “must” look like. For me, Ed’s article is helpful in separating “the system” from the people. You are right, Jeff, that we are the system. However, as I continue to heal from my experience about which you know much, I am served well to consider how the system affects us, pastor and congregation alike. 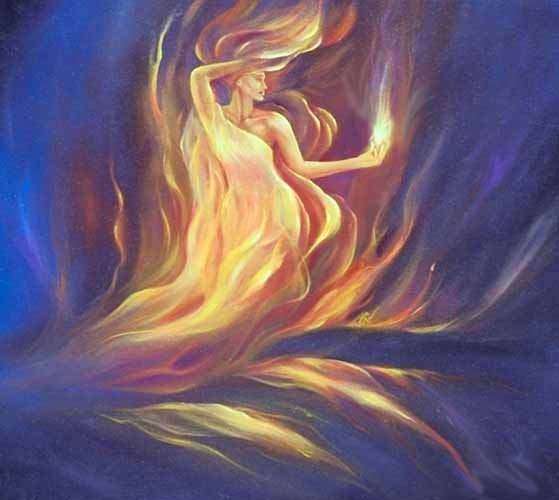 To be sure, it takes an emotionally and spiritually mature and self-differentiated person to be able to “see” the system at work and choose to behave out of her or his own integrity and authenticity. Sadly, as has been well documented by authors such as Pia Mellody, Richard Rohr and Sue Monk Kidd, most of humanity does not fit the description, for developing into such a person implies spiritual growth. Such growth requires following the Holy Spirit into divine darkness, facing our own fears and demons, and allowing ourselves to feel. Only about 10% of the population actually embark on this journey. Alas, churches (like the rest of the world) are filled with people. Can and do they hurt one another and God? Yes. When they do, do they deserve justice or grace? PTL that we humans aren’t the ones deciding on that answer and responding in kind.